I think we are all familiar with the white villages, olive tree groves and Moorish palaces of Andalusia. But what are the more unusual things you can do in the South of Spain? Let me show you my favourite off-the-beaten path attractions and points of interest that you won’t necessarily find in a conventional guidebook. From strange museums to abandoned places, from amazing landscapes to little known buildings, these are my most favourite unusual places in Andalucia. If you need more information about Andalusia travel, check out our comprehensive Andalusia travel guide where we share the best beaches, white villages, holiday resorts, hotels, activities and lots more! You cannot help but have to climb on top of these stone stack at El Torcal. Let’s start with something fun, shall we? The nature park of Torcal near Antequera is somewhat of a landscape oddity. The mountains of Torcal are heavily eroded which makes them look like screws and sunhats and heads and lots of other things. Sometimes, wind and water would create deep horizontal ridges, shaping the rocks to look like stacks of pills. You really cannot help but pose for photos on these weird pedestals. Here is our article on El Torcal. There are many places where Game of Thrones is shot but only Osuna also has a Game of Thrones Museum for die-hard fans. The TV show Game of Thrones has been shot all over Europe and North Africa, and Andalusia has played a major role in the production of the show. You will find lots of filming locations in cities like Almeria, Cordoba and Seville, but did you know that there is also a Game of Thrones museum in Andalusia? The little town of Osuna, halfway between Seville and Malaga, has a small but interesting exhibition for all GoT fans. Intrigued? Read here about our visit to Osuna and the Game of Thrones museum. Malaga has a small but reputable street art scene. The city of Malaga is probably the only place in Andalusia which has a somewhat more organised display of street artists. 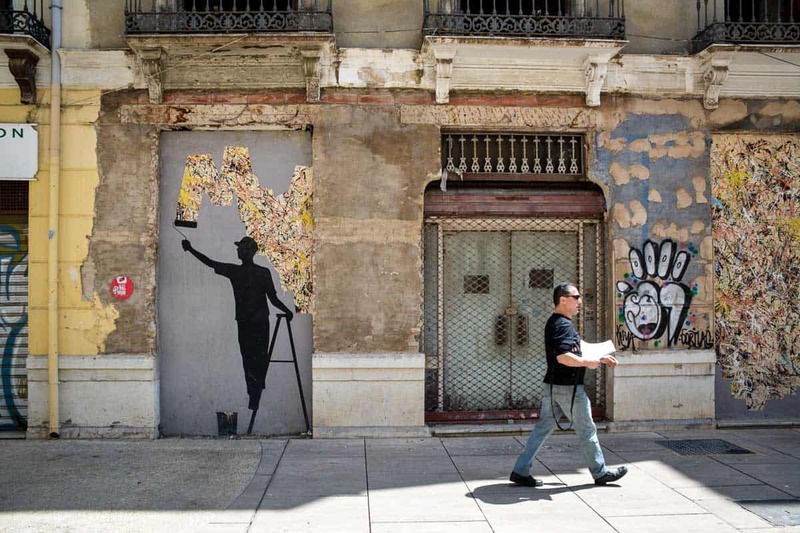 In a quarter near the port, an initiative has called street artists from around the world to add their artwork to a couple of blocks of rundown houses. The result is a compact open art exhibition which features artists such as Roa, D*Face, Obey and lots more. Want to learn more? Check out the Maus Malaga website about this great initiative. The small town of Guadix offers some rare insights into Andalusian cave houses. Just north of Granada, people have lived in caves for centuries. And they still do today. You can visit the small town of Guadix and check out these cave houses yourself. Seen from above, these little dwellings look like a collection of Smurf houses. But on the inside, you will discover how cosy and comfortable these houses really are. More about how to visit Guadix and cave houses in my article here. From the rooftop of Tavira Tower in Cadiz you can catch some of the best views on the Costa de la Luz. The city of Cadiz is a city of towers, and Tavira tower is the tallest of them all. From this vantage point you will have the best views of the city, but to take it up a notch, join a Camera Obscura session. A camera obscura is making use of a ancient system of mirrors and lenses which will cast a live picture of the city onto a canvas. Read here how I spent an unforgettable day in Cadiz for more ideas on what to do in the city. Las Setas may be one of the more popular tourist attractions in Seville, but it is definitely one of the most unusual ones. Sure, Las Setas, also known as Metropol Parasol, is not the only way to get a birds-eye view of Seville. But it is definitely on of the coolest. Just look at the slopes and curves of the organic structure, how it offers you new perspectives of the city with every turn. Plus, on hot days the viewing platform is a great place to catch a gentle breeze. Seville can be so hot in summer, but there are ways to cool down by doing cool things while you are there. 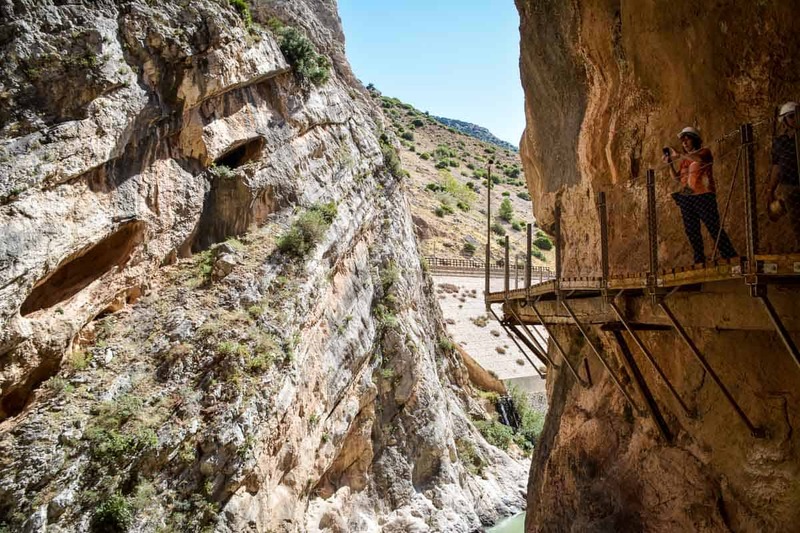 The newly revamped Caminito del Rey near Malaga has quickly developed to one of the most popular nature experiences in Spain. The Caminito del Rey near Malaga is a wonderful nature experience that I can assure you you will never forget. The hike is somewhere halfway on the face of a cliff, offering spectacular views of the nature park all around. Even if you are scared of heights, this hike is doable and absolutely safe. You will be surprised by your own courage. How vertigo was not an option for us on the Caminito del Rey, read all about it here. Museum Lara in Ronda has one of the most intriguing historic exhibitions. I get it, not everybody shares my interest in museums. But this one here in Ronda, Museum Lara, is pretty cool. The collection consists of a variety of objects of historic interest. Typewriters and telephones, pipes and musical instruments, fans and prayer books. Fascinating pieces of unusual design, daring ideas. Plus, in the basement there is a collection of torture tools from the times of the Inquisition in Spain. Here is the official website of the wonderful Lara Museum in Ronda. Andalusia or America? At Fort Bravo, you may be forgive to mix up the two. The dusty hills of Tabernas provide just the right background for shooting Western movies. So when Hollywood realised that Spain would be a much cheaper alternative to produce movies than the US, they started building film sets such as Fort Bravo. The Good, the Bad and the Ugly is just one of the many movies shot in the deserts of Andalusia. You can visit Fort Bravo and soak up some of that Hollywood atmosphere. Read more about our experiences here. Coto de las Canteras is an auditorium cut from the soft limestone in a quarry from Roman times. Osuna is already featured in this list thanks to the Game of Thrones museum, but there is another good reason why you should visit. On the outskirts of town, there is an ancient limestone quarry which has been in use since Roman times. Today, stone is no longer quarried here but you can walk around just enjoy the strange atmosphere of this very unusual place. Even better, the auditorium of Osuna has been carved right here and there out of the stone and simply looks amazing. The views to Africa from the southern most region in Spain are an unforgettable experience. One of the cool things about Andalusia is that it’s so close to Africa. There are quite a few vantage points from which to see the other continent but I particularly like the Parque Natural del Estrecho. There is a lookout point somewhere halfway between Tarifa and Algeciras on the national road, and it’s an wonderful place to feel the slow shift from a gentle Mediterranean climate to the rougher breezes of the Atlantic Ocean. Hiking to the bottom of the Tajo in Ronda offers some very new experiences of the Puente Nuevo. Everybody who visits the small town of Ronda will want to see the spectacular bridge. Puente Nuevo is definitely one of the best things to see in Andalusia, but if you are after a more unusual experience, why not hike to the bottom of that gorge to get a very different view of the bridge? See the little waterfall underneath and listen to the echos. Rodalquivir is located in Cabo de Gata, one of the prettiest nature parks of Andalusia. The little town used to be a centre for gold mining, for many years tons of the metal ore was hauled from the mountain. When mining became unprofitable, the mine was abandoned but not demolished. You can visit the buildings and the old miner’s cottages, enjoy the peaceful setting and take some amazing pictures. Read here about our memorable day in Cabo de Gata. In wintertime, flowering almond trees can be found all over Andalusia. Wonder if it’s a good idea to visit Andalusia in winter? Of course it is! Just look at these amazing flowering almond trees! You can find them pretty much everywhere around the countryside, mostly on slopes and hillsides. There is no official tourist route, no real centre, so when you do spot them it’s quite a thing. They smell heavenly too. Read here how I became rather obsessed with almond trees in Andalusia last winter. The former monastery de Isidoro de Campo is a fascinating place of cultural interest. When leaving Seville heading westwards, you may come past the imposing structures of the disbanded monastery of Isidoro de Campo. A visit is highly recommended, even though it’s not quite so straightforward due to lack of signposting. The monastery is huge and has on the inside a mix of original church art and modern contemporary pieces. It’s a great off-the-beaten-path attraction that not many people know of. Rio Tinto with its red hues must be one of the most unusual places you will ever see in Europe. Nope, these colours are not fake or artificially enhance. This is the true colour of the Rio Tinto. Iron deposits in the soil give it a strange red hue, from cherry coke to blood orange. Ride the historic miners’ train for the best views of the mine and the river. An unforgettable experience indeed. For more information, read here about our experience at the Rio Tinto. Monasterio de San Jeronimo in Granada is one of the hidden gems of the city. Yes, there are many churches in Granada but my most favourite one is the monastery church of San Jeronimo. The play of light and shade, the walls and ceilings covered in murals and artwork, the many little statuettes, all coming together so harmoniously… a grand interior for such a small church. I daresay, even more attractive than the Cathedral of Granada. If you want to read more about the Church of San Jeronimo in Granada, I share more info on this unusual church here. Watching the colourful kites dance against the stormy skies of Tarifa. When you see little pops of colour in the sky, doesn’t this make you happy? It certainly makes me very happy, watching their little dance in front of the stormy clouds. If you feel like me about this, go to Tarifa and watch the kitesurfers as they go about their business. Feel the fresh breeze coming from the Atlantic Ocean and just simply – enjoy. 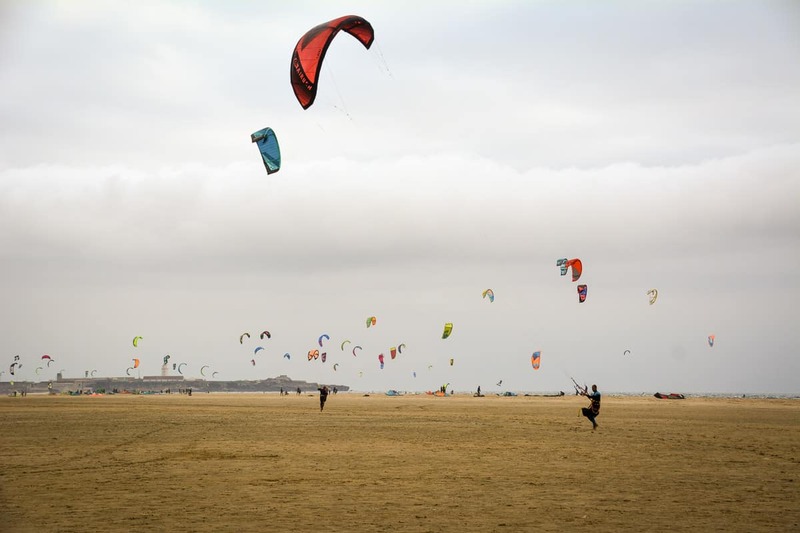 What else you can do in Tarifa, read all about it here. Baelo Claudia near Bolonia is undoubtedly the most scenic Roman site in Andalusia. There are quite a few Roman sites in the South of Spain that you might find worth exploring. My favourite one though is the city of Baelo Claudia in the small fishing village Bolonia near Tarifa. Why? Because it’s almost a complete Roman port city, including a forum, a theatre, public baths, garum factories, a main street and so much more. Plus, it’s located right next to the beach, adding this special something to an already remarkable site. We cover Baelo Claudia in our article on Tarifa above. The tarasca in Antequera is a baroque element that used to be part of religious processions in Spain. If you think all churches in Spain offer pretty much the same, think again. The Real Collegiate de Santa María la Mayor in Antequera is home to a fascinating piece of Baroque art. This float pictured here used to be the very first piece carried around the streets during a religious procession. The lady represents Faith, and she is taming the seven deadly sins in quite a dramatic fashion. I just love it. These are some of the most unusual things you can find in Andalusia. I hope you enjoyed this mix of unusual places, quirky things and off-the-beaten-path attractions. Andalusia Travel Blog: Plan Your Next Holiday! Hello! 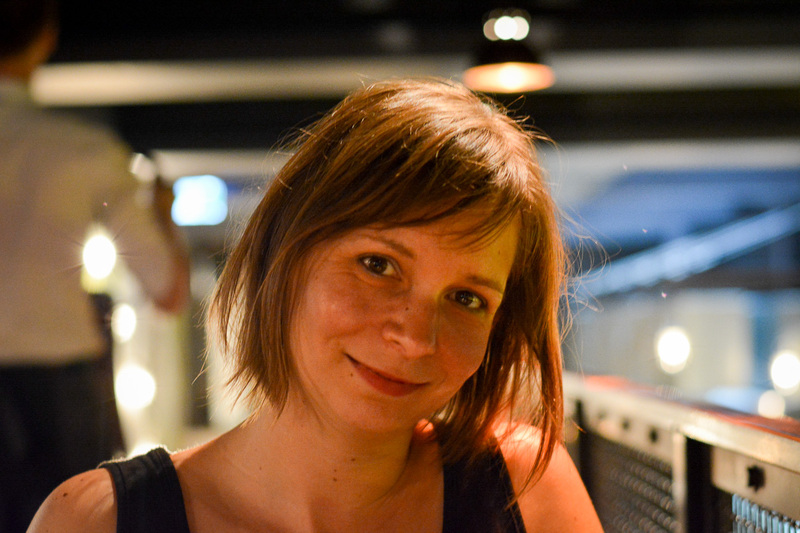 My name is Silke. Looking for inspiration and information for your next trip? You've come to the right place! Happiness and Things is my travel blog about the unforgettable places I've seen around the world. After 13 years in Sydney and Andalusia, I now live in Berlin, Germany. I am a travel writer, translator and book author. Read more about it here. Sign up now for the weekly Happiness & Things newsletter full with travel inspiration and practical tips from someone who knows how to make every second count.